Lewis Hamilton beat Formula 1 title rival Nico Rosberg to pole position for the Singapore Grand Prix by seven thousandths of a second. Hamilton was only sixth fastest on his first run in the Q3 top 10 shootout but despite a lock-up at Turn 1 on his final lap, a particularly strong run through the middle part of the lap allowed him to pip Rosberg. Red Bull locked out the second row, with Daniel Ricciardo third ahead of Sebastian Vettel, just half-a-tenth separating the two. 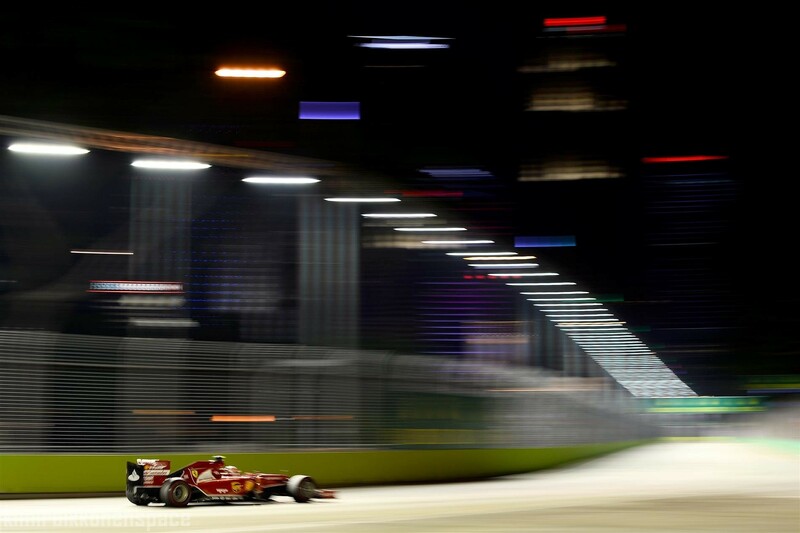 Fernando Alonso was fifth fastest, only a tenth behind the lead Red Bull, although Ferrari team-mate Kimi Raikkonen was not able to do better than seventh after suffering a car problem on his second run. Yesterday just confirmed it..Kimi is the unluckiest driver of this year..i’m just waiting for kimi to be on the podium..if he isn’t on the podium today..i’m really gonna get so pissed on ferrari!! Good Luck Kimi…Hope alonso crashes and u win..payback Biatch!!! Just when you think things are improving for Kimi he gets stuck with traffic and badly worn tyres. The F14T is rubbish and Kimi flogging a dead horse (not a prancing horse) this season. Ferrari give him a decent car and watch him fly! !